A pre-race sample was taken from Bletchley. Tempus Fugit was quick to begin. Groucho and Sol Invictus collided approaching the first turn, checking Sol Invictus. Cinnamon Cindy, Groucho, Tempus Fugit, One Mississippi and Red Lagoon collided on the first turn, checking Tempus Fugit and Groucho. One Mississippi and Red Lagoon collided approaching the home turn. Groucho and One Mississippi collided on the home turn. Sol Invictus and Tempus Fugit collided entering the home straight. Bletchley raced wide in the home straight. Track Curator Mr M. Pell advised Stewards that the track was lightly harrowed on 3rd June 2018. 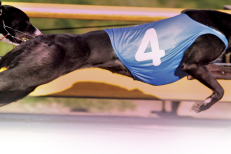 Satisfactory Trial Results - Stir Fry Shrimp trialled over the 425m from box one, weight 31.8 kgs, the greyhound was placed first in a field of four starters. The time of the trial was 24:47, the greyhound won by a margin of 1.25 lengths. Stir Fry Shrimp was Cleared. Satisfactory Trial Results (GAR 77A) - Stewards spoke to Mr Richard Gray, the trainer of Ace Victorem, regarding the length of time since the greyhound last raced. Ace Victorem last raced on 27 August 2017. Mr Gray stated that the greyhound last competed in puppy coursing and was commencing racing on circular tracks. Pursuant to GAR 77A, Ace Victorem trialled over the 425m from box two, weight 36.2 kgs, the greyhound was placed second in a field of four. 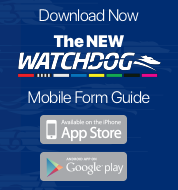 The time of the trial was 24:47, the greyhound was beaten by a margin of 1.25 lengths. Ace Victorem was Cleared.